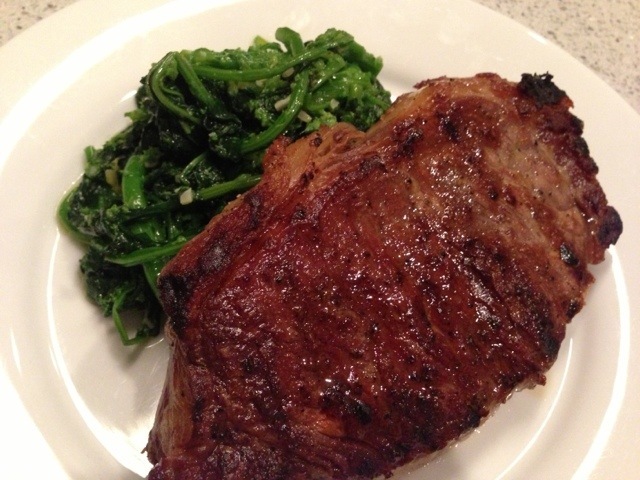 The steaks were juicy and full of flavor, while the broccoli rabe cut through and offered a wonderful balance to these hefty bad boys! To wash it all down… a velvety Pinot Noir. This dish truly came together beautifully!